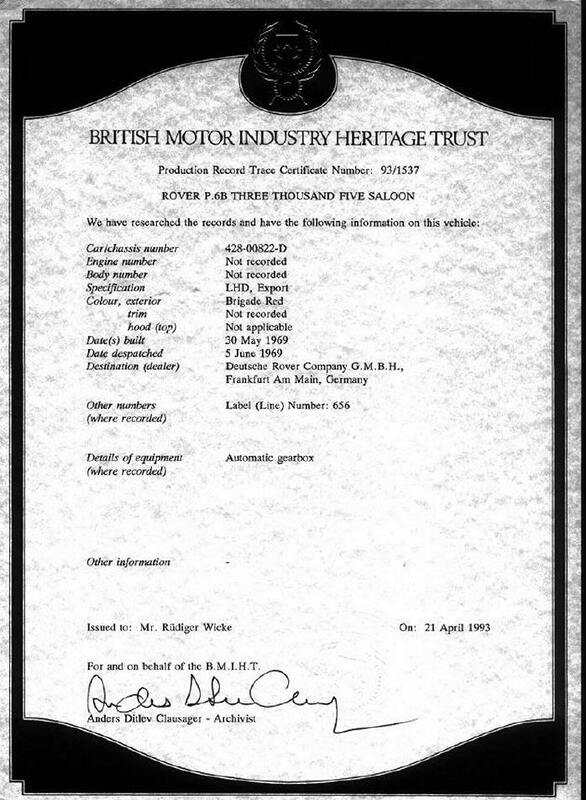 You want to know the exact "date of built" of your Rover P6? Order a special certificate which shows some data. Above you see an "old" certificate of 1993, since then the layout has been changed.